Handcrafted by our expert Amish artisans, the Mission Canyon Antique Bed reflects the Arts and Crafts furniture movement with reverse-tapered legs. 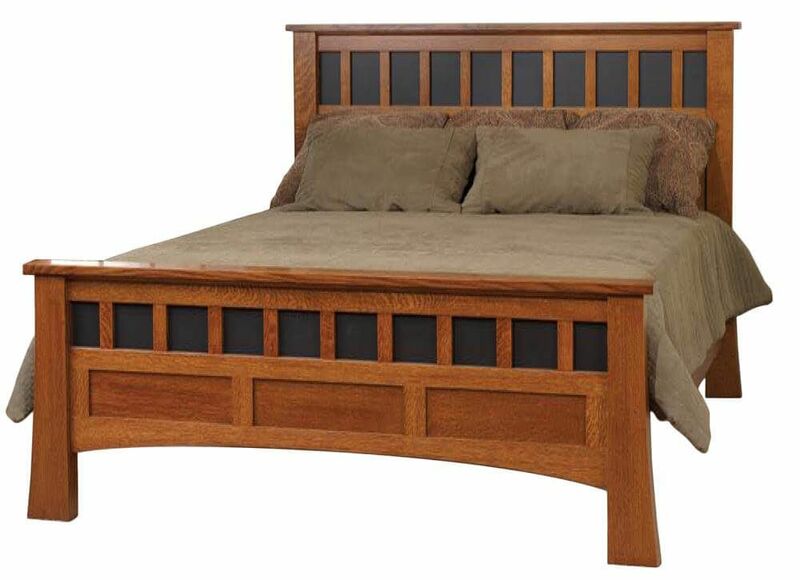 Accented with black Formica panels along with inset hardwood panels, the Mission Canyon Antique Bed is a true testament to the hardworking Craftsman design. Your Full, Queen, King, or California King bed promises solid hardwood construction, hand-rubbed finish, and durable catalyzed conversion varnish. Your source for fine bedroom furniture, Countryside Amish Furniture offers made-to-order furniture sets in the wood species and stain of your choosing. Make your selections using the options provided. If you elect to purchase the look shown, order your Mission Canyon Antique Bed in Quartersawn White Oak with our Burnished Honey finish. Begin building a better bedroom with quality furniture at Countryside today.